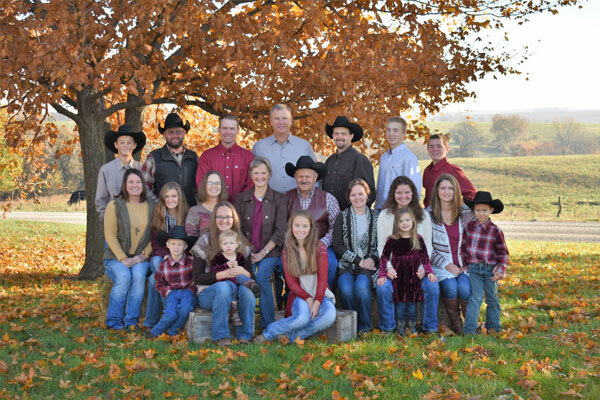 Our herd started in 1928 when Ann’s father, Wayne Lacock, purchased his first registered Angus cattle. 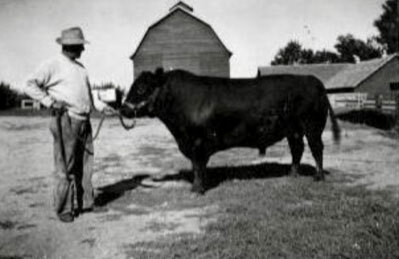 Wayne was well known for his quality cattle and sold bulls from New York to Washington and from Alabama to Michigan. He bred and raised Atlas Marshall, a bull that sold in 1969 for $50,000 for 1/3 interest. This was the record selling bull in the state of Iowa for many years. When Ann and Jim got married in 1976, Ann brought 15 head of Angus cows with her. Over the years, the herd increased in number. We now run about 600 females with about 300 calving in the spring and 300 calving in the fall. At Werner Family Angus, our faith is important to us. We thank God that our business has grown, that our children live nearby, that we live in a caring and Christian community, and that we can all work together doing what we love. 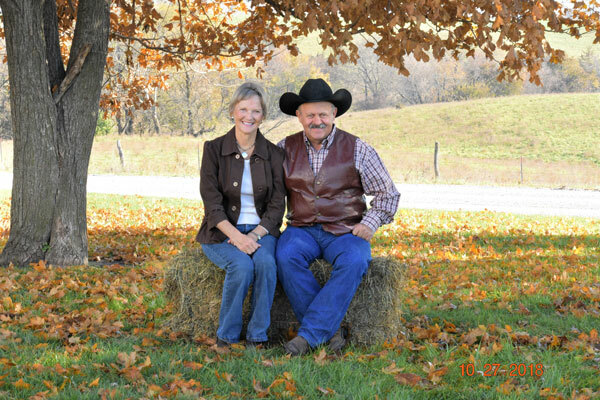 Jim and Ann Werner live in their new house a mile north of the “headquarters” east of Diagonal, IA. 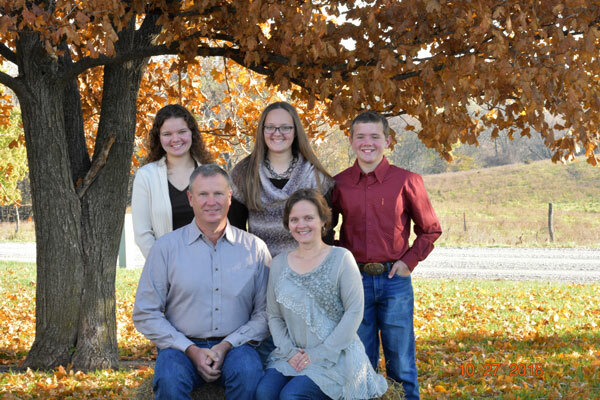 Jim admits that he is semi-retired, but he still enjoys working with the cattle and his grandkids. Ann has stepped back to let the next generation take over. She still helps when needed and plays an active role in developing the breeding plan. 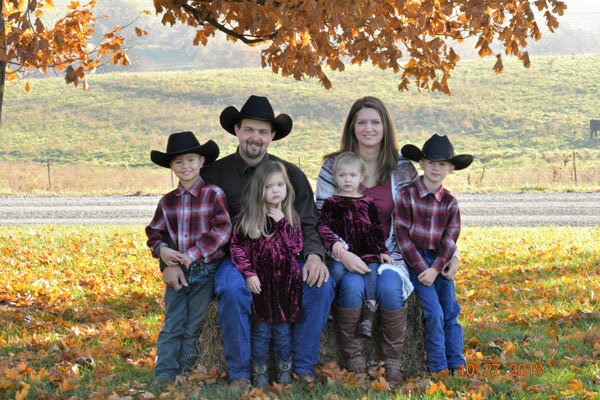 Craig and Becky (Werner) Hays, Lindsay, Jessica, and Cody live in Maryville, MO, and raise Simmental cattle. Craig is an ultrasound technician who travels the country collecting carcass ultrasound images. Becky owns one of the three certified ultrasound processing labs in the country and works out of her office in Maryville. 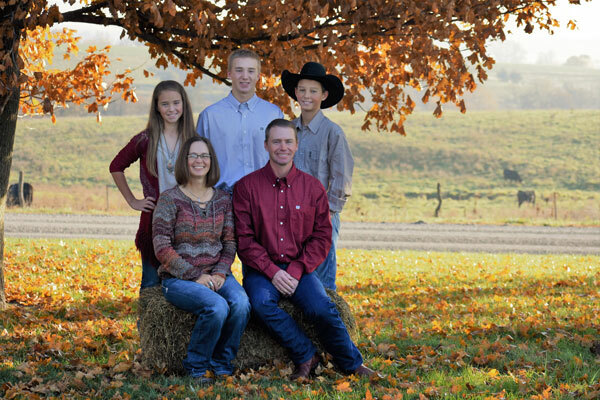 Will and Bonnie (Werner) Larson, Rhett, Matt, and Abby live east of Diagonal, Iowa. Will farms with his brother and has a commercial cattle herd. Bonnie is in charge of the Angus paperwork and bookkeeping for Werner Family Angus and Werner Feed Efficiency. Clint Werner, Marci, and Ashtyn live east of Diagonal, Iowa. Clint is in charge of the crops at Werner Family Angus as well as being the master mechanic. 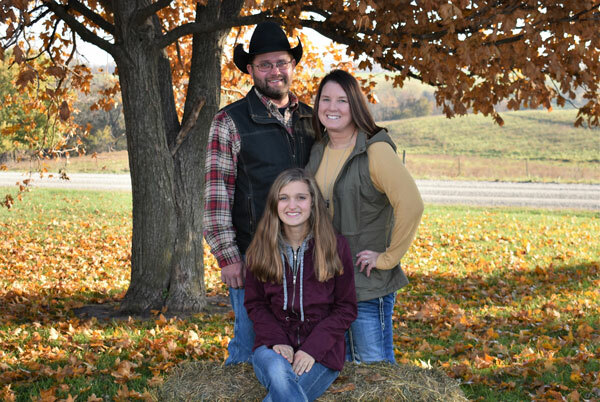 He plays a major role in the cattle operation and co-owns Werner Feed Efficiency with Joe. Joe and Heather Werner, Jake, Emma, Ty, and Brook now live at the home place. Joe manages the cattle and the grass and co-owns Werner Feed Efficiency with Clint. Heather keeps busy with the little ones and cooks meals for the crew during the week.